I love quesadillas. They are so versatile, easy to whip up, and tasty! When I saw this version that included bacon and avocado, I knew I had to try it. I am always so impressed when relatively few ingredients combine to make an outstanding meal! Start by cooking the bacon. I find it easiest to dice up the bacon first, then cook it over medium heat until crispy. Remove the bacon to a paper-towel lined plate, and drain off the grease, leaving just a tablespoon of drippings in the pan. 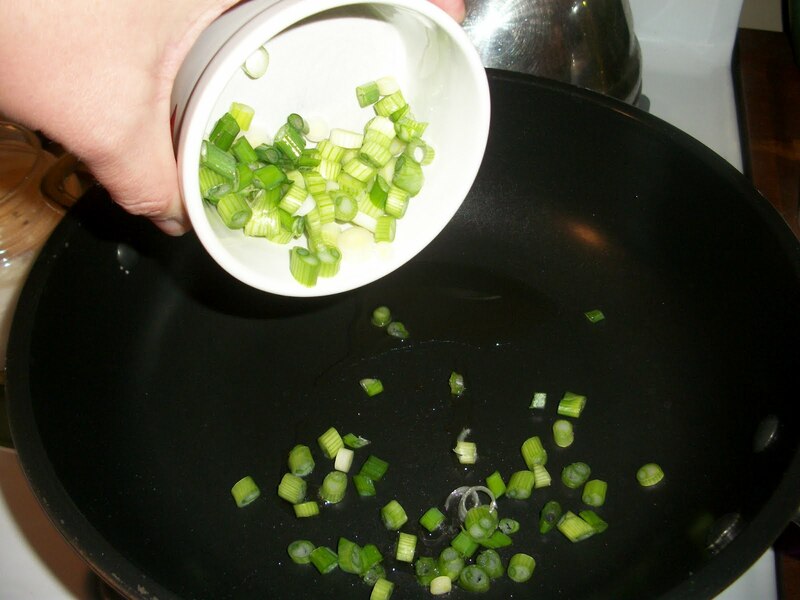 Return the heat to medium, and add the green onions to the skillet. Cook for a few minutes until they soften, then add the chicken. then the bacon, and the avocado. and press down gently to get it to adhere a bit. Let it cook for about 1 or 2 minutes, until the underside is golden and the cheese is melted. Then carefully flip it over and cook on the other side for 1-2 minutes. Repeat with the remaining tortillas and filling. I find it easiest to use a pizza cutter to cut these into thirds. Serve with plenty of salsa for dipping! Find more great ideas at Mouthwatering Monday, Mangia Mondays, Menu Mondays, Your Recipe, My Kitchen, Mop it up Mondays, Tasty Tuesday, Tasty Tuesday (#2), Tuesday at the Table, Totally Tasty Tuesdays, Tasty Tuesday (#3), Made from Scratch Tuesday, A Little Birdie Told Me, Kidz in the Kitchen, Tuesday Talent Show, Cast Party Wednesday, What's Cooking Wednesday, These Chicks Cooked, Recipe Roundup, Famous Linkz Party, Bacon Fest. Cook the bacon in a skillet over medium heat until crispy. Remove to a paper-towel lined plate. Remove all the drippings except for 1/2 tablespoon. Reheat the skillet over medium heat, then add the scallions and saute about 2-3 minutes until softened. Add the chicken, season with salt and pepper, and cook for about 5 minutes or until chicken is golden and cooked through. 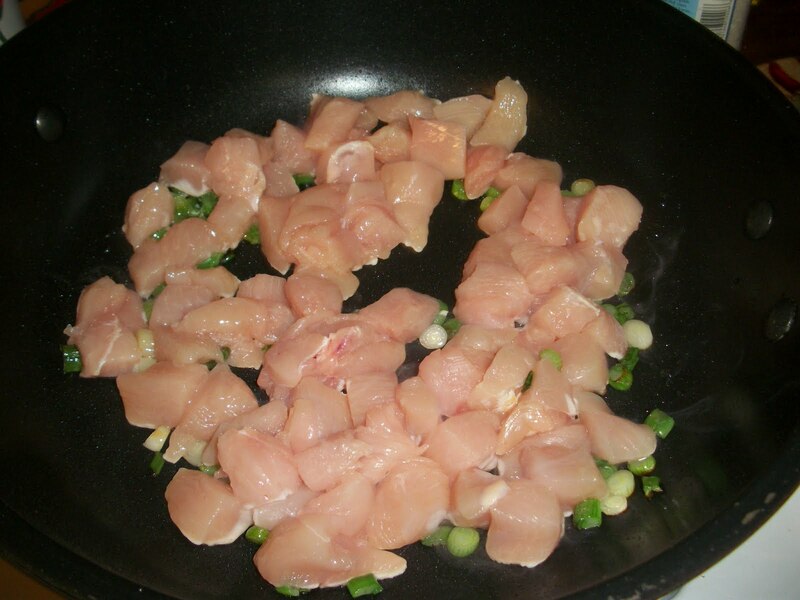 Remove the chicken and scallions to a plate and rinse out the skillet. Add about 1/2 Tbsp. butter to the skillet over medium heat. When foamy, add a tortilla and swirl it around to get it nice and buttery. 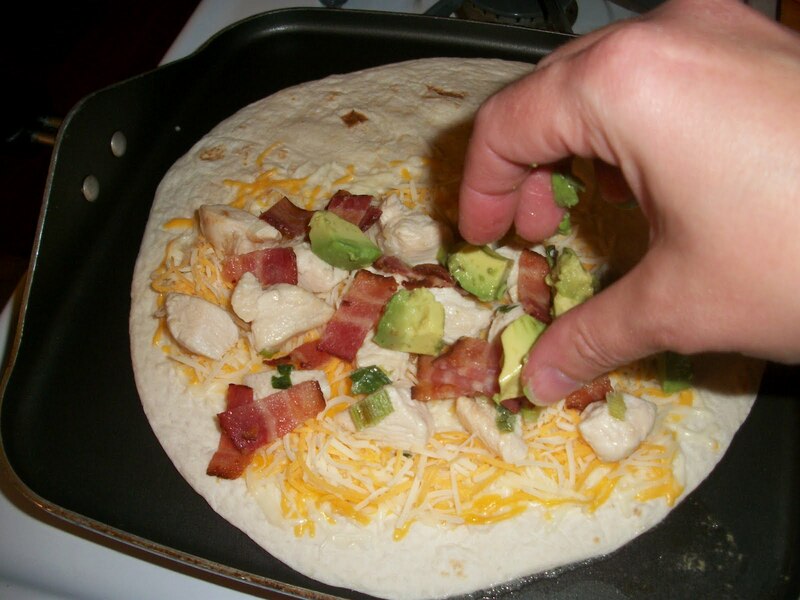 Layer one side of the tortilla with cheese, chicken, bacon and avocado. 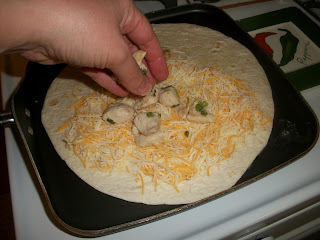 Gently flip the other half of the tortilla over and press down. 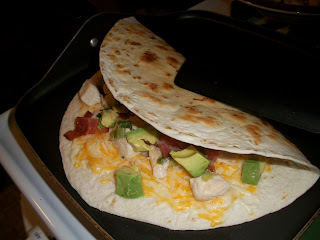 Cook the tortilla for about 1-2 mins on each side or until golden brown and crispy. 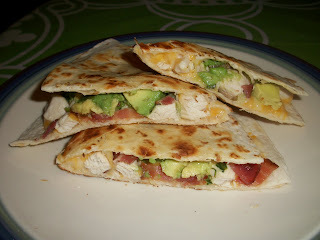 oh this one looks so good- I might have to go make it right now! I hope you'll link it up on our new linky - Kids in the Kitchen - (no kids required in pics) just good family friendly recipes to share- so far it's a wonderful group of moms - working to bring the family back to the table! open all week begins every tuesday! That quesadilla looks delightful! I love Mexican food - can't wait to try the recipe! LOVE avocados! I will have to add them to our next recipe! oh my goodness..I was looking for something a little different for dinner tomorrow..I think i am in a roast is easy rut!! I have all of these ingredients....thank you very much for this idea....I will use all my chicken too!! Looks awesome! Please share this at Bacon Times Anything Goes Fri-Monday linky! ooh anything that involved bacon and avocado- I'm in! Thanks so much for linking up! Oh my!!!! I want that right now! I love avocados! I love mexican! Well done! Thank you so much for sharing this at Kids in the Kitchen linky! I am going to make this ASAP. Please come back next Tuesday to share more incredible family friendly recipes! We look forward to it! I just pinned this. Can't wait to make it, it looks delicious. Some of my favorite things all put together!! Great idea! I made this yummy dish--it was a crowd pleaser! I blogged about it--hope you'll check it out. Thanks!